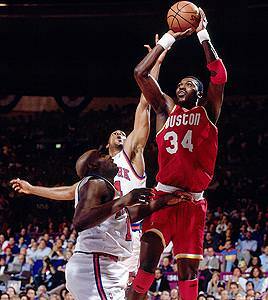 Hakeem Olajuwon is insha’Allah being inducted to the Hall of Fame today. Having grown up in Houston, I have fond memories of Hakeem and the work he did, not just on the court, but in the community as well. I remember a long time back he organized some basketball tournaments between the Houston masaajid, and the patience with which he would meet everyone at the masjid when they were asking for his autographs. I remember the Hakeem Olajuwon bottled water given out one year at Eid. And I still remember a story from Eid when a friend of mine saw him sitting on the floor before Eid salah and asked him for his autograph, and Hakeem simply told him after salah. In fact, I remember the reaction of all my friends and my family’s friends after the Rockets won the championship almost rivaling that of an Eid celebration. I remember watching an afternoon game with the Rockets (I never missed a single game of theirs on TV when I was younger), and he was playing while fasting. It may sound a bit cheesy, but for someone at a young age to see someone like Hakeem the DREAM on national TV, fasting, playing at a high level without a single sip of water or Gatorade, and still dominating everyone – it leaves a lasting impression. I couldn’t tell you who they played that day or who won, but I remember – as a Muslim child – being proud of seeing that, and it being an inspiration to me to fast no matter what the situation. 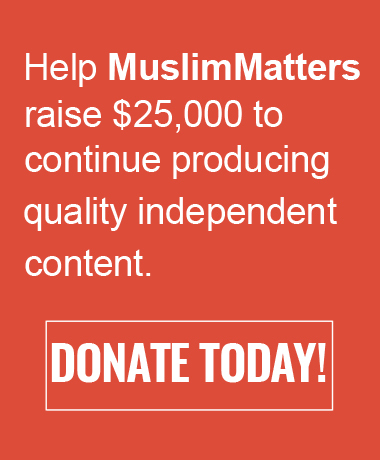 He is one of the few Muslims who have reached bonafide celebrity status, yet, retained a positive reputation and image with the community at large. It is even more impressive, that Muslims and non-Muslims alike credit his character to his dedication to his deen. I met Hakeem at the first practice after I got traded from Portland to Houston. I could tell right away what a good guy he was. He went about his business in a professional way. He was very quiet, but when you’re on a team, you get to click with all of your teammates. He was our star. Off the court, he laughed and had fun. But once it was game time, he was focused, like a completely different person. I could count on one hand how many bad games he had during the time I was in Houston, and that’s saying a lot right there. He played at an extremely high level. Hakeem was an amazing leader. 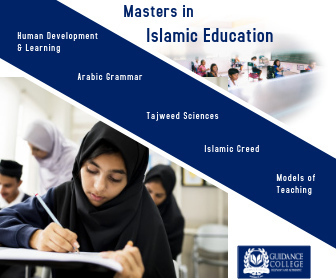 Going into Islam and getting deep into his religion really helped him with his discipline and focus as opposed to his prior years where had some problems. He prayed five times a day. During Ramadan, he didn’t eat all day (I think Shareef Abdur-Rahim does the same thing). The average guy had to eat and drink water during the course of a game. Hakeem got up at 5 a.m. to eat and then didn’t eat again until after sundown. With an 82-game schedule with games starting at 7:30 pm, that’s hard. But it never affected his game. He was our star, and guys counted on him every night to be that star, block shots, do what he did. He went out and did his job. He’s “The Dream” — he played hard whether he ate or not. It’s a credit to his mental toughness. But he kept his religion very personal. He never approached me about it. He’s very private and personal off the court. In our five years playing together, I may have seen him twice off the court. He was always in his hotel room. He wore his white gown, prayed all the time. I think soccer really helped him as a player. Dream is closer to 6-9, but played bigger than his height. He would play one-on-one with the guards, he’s that amazing of an athlete. He could run, had a jump hook, jump shot, the total package. He doesn’t get the credit he deserves as being one of the best centers of all time. I keep hearing people put Shaq in front of him, and that’s an insult. Dream was an 85-percent free throw shooter. Shaq never led the league in blocks or won Defensive Player of the Year. It was a great time for centers, but the best of all those guys bar none, including Shaq, Robinson, Ewing, Alonzo … it was Dream. He was just a little better than those guys. There’s one memory from those days that really sticks with me. I always tell my friends this story. We were playing the Knicks in the Finals, and we were down 3-2 going back home. At the hotel, I was distraught, talking about how upset I was about the situation. Hakeem’s hotel room was on the same floor as me. He and some of his Muslim buddies were cooking fish, smelling up the whole floor. I was so frustrated about the series, and when I walk out of my room, here comes Hakeem smiling like nothing had happened. He was relaxed as could be, it just it lifted my spirits and made me smile. The confidence this guy had in himself and our team raised us, it was amazing. I just smiled. In Game 6, he makes a last-second block, we win Game 7 and win our first title. I was amazed that whole summer after that end result. That will stick with me the rest of my life. Another time like that was when we were down 3-1 in Phoenix in the 1995 Playoffs. Hakeem was sitting next to me on the airplane. He looked over and said “Let’s go surprise them.” We ended up winning the series. It’s his confidence that made him the man he was and is. That’s what he did. When you look at him, he’s a pillar of strength and you could grab on to it. This induction is amazing. I’m also a big fan of Patrick, he’s a tremendous player and person. God is good. These guys battled in college, then in the NBA and now are entering the Hall together. I wish I could be there to support the guys, but Coach Carlisle is working me in Dallas. I’ll have to call Clyde after and find out how it went. I couldn’t be happier for Hakeem. He is a good man, and I love him. Check out more of the Hall of Fame coverage and some highlights about Hakeem – including an article on his halal real estate investing. I was just wondering recently what Muslim sportspeople do during Ramadan… Alhamdulillah, now I know! Masha’Allah, he seems like a good role model (at least when compared to the others you find in sports!). Allah knows best the good in him; may He make him better than I think he is, ameen. Mashallah, Hakeem Olajuwon is a great role model. Hakeem was arguably the 2nd best basketball player in the 1990s (only to Michael Jordan) – and achieved the highest success at both the individual and team level in the NBA. He dominated all the other big men of his time, yet he always stayed humble and grounded. (he was also my favorite basketball player growing up!!!!) Mad props to “the dream”!!!! What I will always remember the most about the brother was that he had in his house a huge room that was for salat only, with just a marble white floor, the Quran had a place of reverence, and white walls. That’s all that was in the room. It had a touch of class about it. It’s great that he is being honor during Ramadan. The first time I met him was when I was about 12 years old. There was a Qiyaam-ul-Layl program in Houston, so my father drove down with me and a couple of other young huffaadh to participate. Well guess who attended? HAKEEM OLAJUWON!!! Afterwards he sat with us and invited us to have food with him. MashaAllah he was very encouraging and told us how it was his dream ;) to memorize the Quran. I was actually a BIG TIME Orlando Magic fan growing up (still am), so I was actually pretty upset when Hakeem schooled them in the Finals for the 1994-95 season. Still, I couldn’t help but have respect for Br. Hakeem all through those years – like you, I was so proud to see him play during Ramadan. May Allah bless him and his family for all the good work he does both in the States and in Africa. P.S. – It’s pretty cool how the two best centers in NBA history are both Muslim (the other being Kareem Abdul-Jabbar). Mashallah!! SubhanAllah, Br. Hakeem’s humbleness shines clearly on his face. I remember when they won their first championship and there was parade in downtown Houston. It was delayed a couple of hours because he was praying jumu’a. Not a single person amongst the thousands lining the downtown streets, nor the commentators complained one bit. They actually gave him mad props for being a devout Muslim. When they won their second title, Houston made sure not to conflict with prayer times. Jazakum Allahu khair for this article. It increased my already big love for this beautiful brother. May Allah continue to make him a shining light of manners and excellence for all that know him. Why don’t more of our young people take some like Hakim Olajuwon as a role model, rather than all these disbelieving and corrupt sports and entertainment figures? Our young people need good contemporary role models, (the Prophet [s.a.w] is the best of role models, but sometimes young people need to see something visual), and should be encouraged to look into the lives of modern Muslims like Hakim Olajuwon, Malcolm X, ‘Abdullah ‘Azzam, and others like them. Hakim donated alot of money to build an Islamic school in Toronto-their goes his sadaqa jariah inshaAllah. salam everyone. May I know the email or any contact of Hakim. I want to discuss school project with him.